Luxury living in a picturesque seaport town! 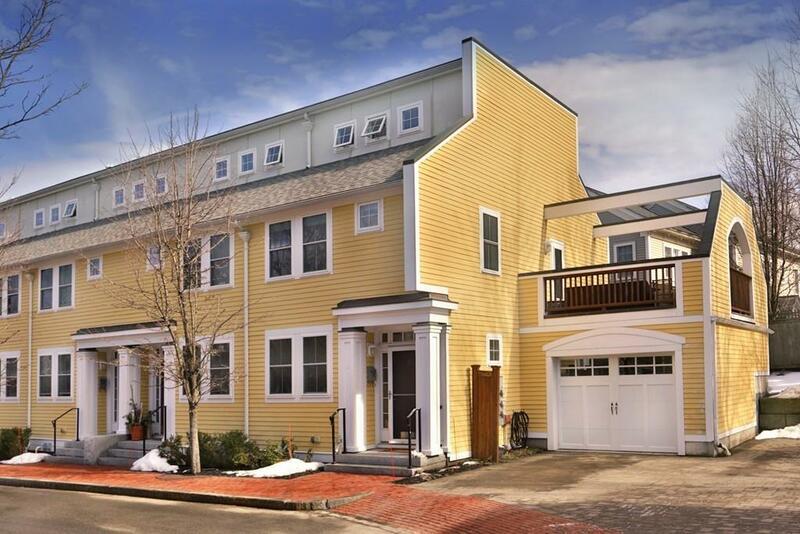 Located in the heart of historic Newburyport near the expanding Clipper Heritage Rail Trail, this townhome with a (rare) garage, will let you live the urban lifestyle you have been dreaming about. Enjoy the luxury of 3 Bedrooms, including a 3rd floor master suite w/ an added bath and peek-a-boo Merrimack River views… just enough to watch the boats sailing by this summer. The spacious yet private outdoor deck is perfect for you and your guests to celebrate spring and summer with some refreshments and good conversations, or for you to soak up the rays or wind-down with a book. Inside you can check-off the modern amenities that are on your list: air conditioning, hardwood floors, granite counters, custom built-in cabinets. The lower level boasts additional living space, perfect for a gym, media room, or family room, and complete with radiant heated floors. Just ten years young, take the plunge & this townhouse will make your dreams a reality!